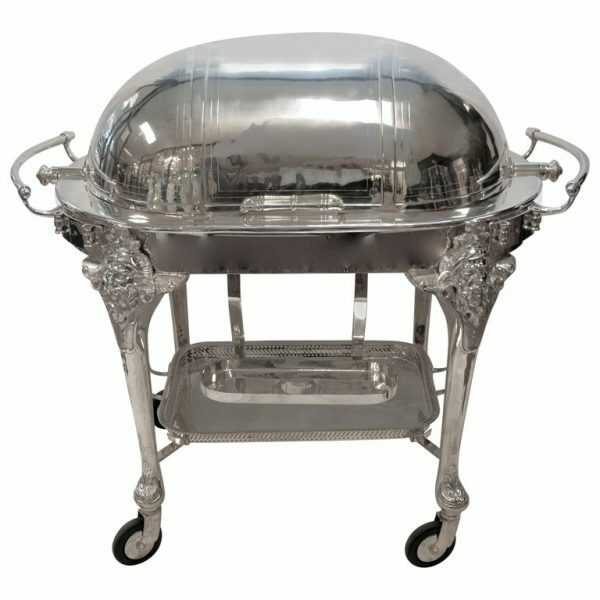 Stunning, large & decorative sheffield silver plate beef trolley. 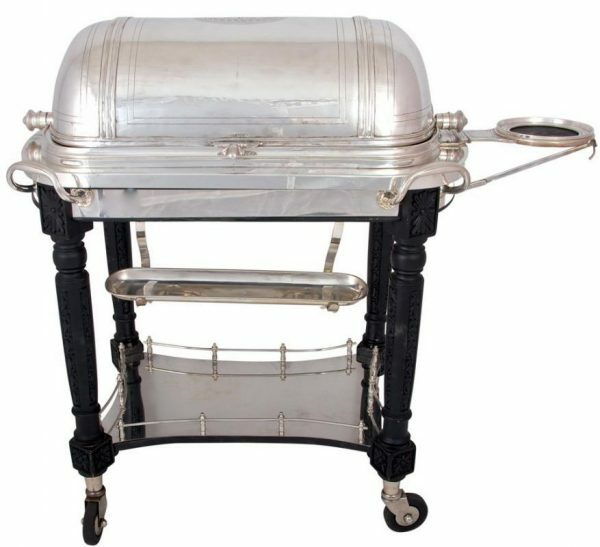 Complete with sauce pots, vegetable dish, carving tray, detachable under tray & 3 burners. Bacchus mask caps on each of the legs, and detachable plate holder / champagne or ice bucket holder. Maximum height of 43.75″ x 47.25″ long x 28″ depth.